I am a multi-genre novelist living in Ohio with my wife and miniature Schnauzer. I was born in St. Louis, Missouri, but moved to Long Island, N.Y. when I was 8 years old. Reading and writing fiction have always been a big part of my life. As a child I wrote about outer-space and in high school I was the editor of the school’s literary newspaper. During that period I wrote mostly short stories and novellas. I earned a BS in Logistics from NYU. My career in NYC was spent in management positions at several large companies, including Exxon, Metropolitan Life and J.C. Penney. During those years I had little time for writing as my career required extensive travel and I was busy raising a family. In the early eighties, as an empty-nester, I moved to Centerville, OH with my wife, Jeannette. I retired early from the bicycle manufacturer Huffy, when they went into bankruptcy. Now, I am a full-time writer. I write because I feel that there are stories that need to be told. 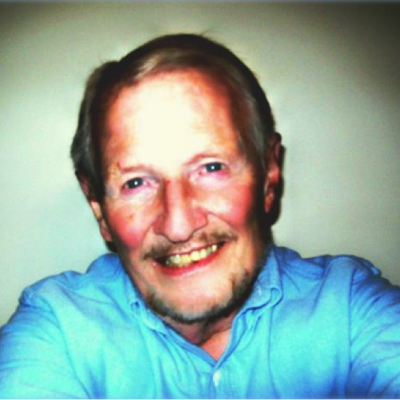 I enjoy the process of writing and firmly believe that you do your best writing when you are well read. To that end, I read at least one novel a week. Blood Money, my debut novel centers on a private investigator, Mark Matthews, turned FBI agent. In the novel he topples an association funneling money to terrorists. It was published as an ebook in November, 2011. Fatal Dose, the second Mark Matthews Mystery exposes a drug mafia distributing counterfeit prescription drugs and revisits some of the villains from Blood Money. It was published as an ebook in March, 2013. Family Matters is a multi-genre work about three generations of the Kingston family. The protagonist, Adam Kingston, provokes each of the main characters with a series of ruthless actions until one is driven to hire an assassin to kill both Adam and his father and burn Kingston Manor to the ground. It was published as an ebook in March, 2015. The Keys to the Kingdom is a about a modern day Everyman, It introduces a way to enter the Kingdom of God on earth. Several publishers are reviewing the manuscript. Siblings, is a captivating family saga and an introspective of the hierarchy in sibling families. Gambling, drugs and infidelity are rampant in this tale of the Symington family. Before starting a novel, I do extensive research. For example, while writing Blood Money and Fatal Dose, that feature an FBI agent as the protagonist, I met with local FBI agents to verify details used in my stories. For Siblings I needed to learn about abortion procedures. With three published thriller novels under my belt, I am turning to novels addressing social issues and topics with spiritual/inspirational themes. 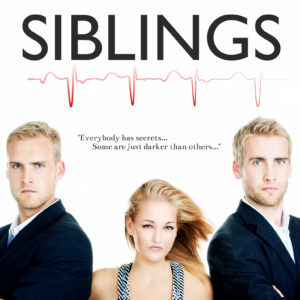 The novel Siblings addresses the complexities of the birth order in a novel way. I am a member of ITW. Copyright © 2018 Limitless Publishing.